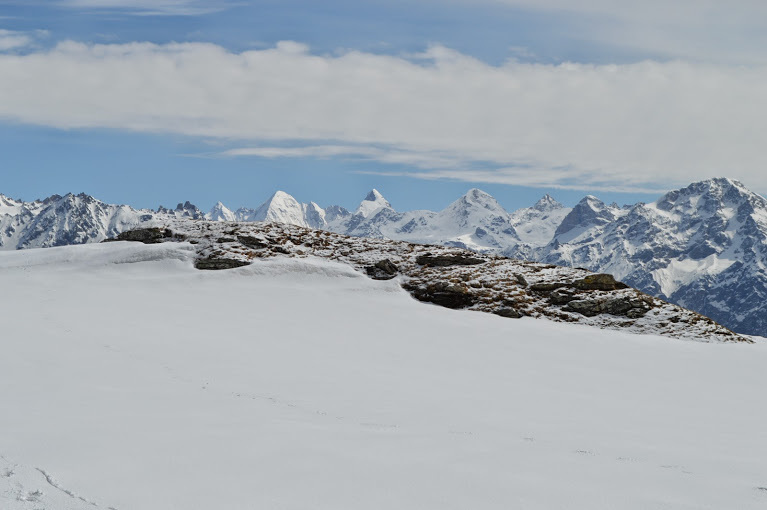 I have a story to tell(Click here for a catchy number by Vihang, a fellow trekker and singer who composed this song about our Sarpass experience – Chalte ) – of a camping trip through probably the most gorgeous stretch in India. With all its twists and turns, I am glad it happened. 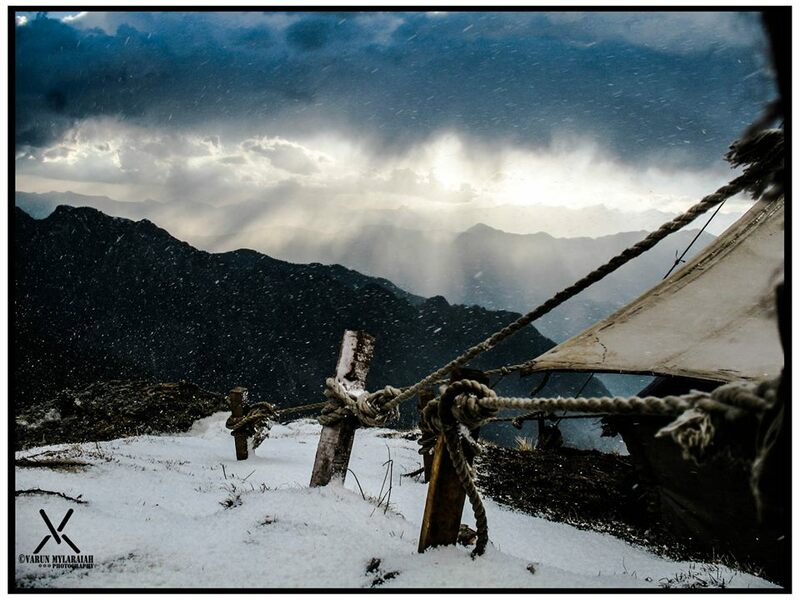 For every hurdle through the treacherous weather, there was a beautiful camp site waiting for us, for every time, health tested us, there was something new to experience, for every time I asked myself as to how on earth did I decide on doing this trek, there was a beautiful trail to be followed. 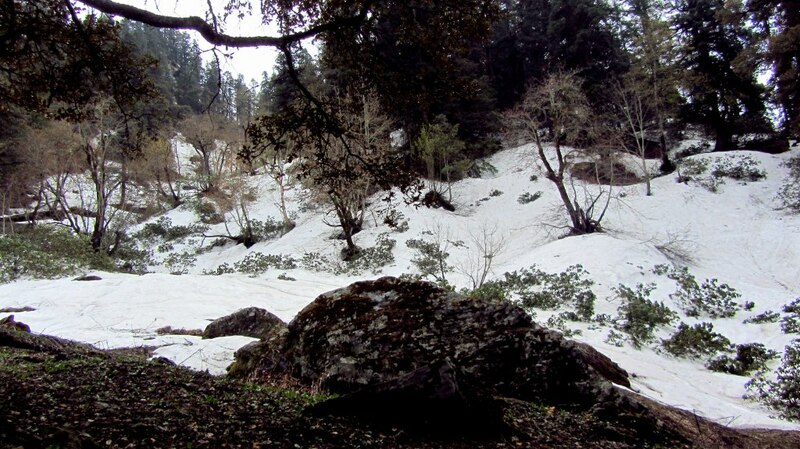 Our batch faced it all – Blizzard, Minus 15 temperature, hailstorm, crazy rain, snowfall, sunburns and days of bad health. When I look back, I think it was better this way. Every time we thought the worst was over, nature threw something new at us and we handled it with lots of laughter, a bit inhibition and small moments of breakdowns. I am proud to say I walked through SAR PASS – at 13800 feet above sea level, I crossed a frozen lake with snow under my feet, burns on my nose and so much awe in my eyes and heart for this precious place created by god. Why this fascination? 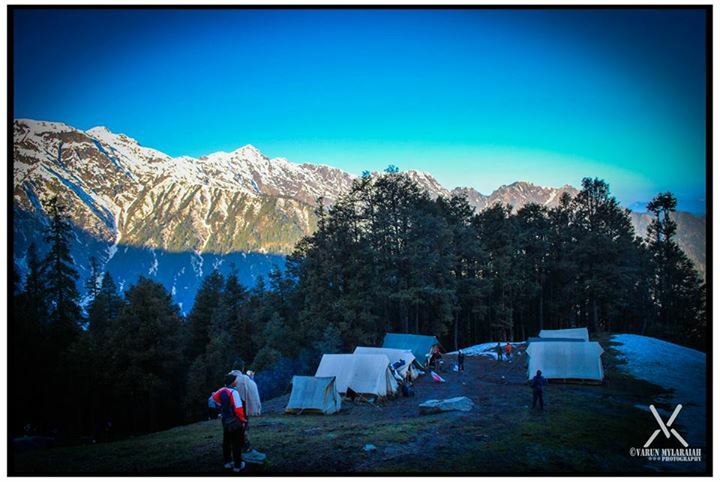 Come May and you will see over 1500 people flocking Kasol in pursuit of fulfilling their dream of crossing Sar Pass. This is not the typical bunch of trekkers you meet in your one/two-day treks around your city. You will find all kinds of people here. Some who have done Sar Pass multiple times, some who have never trekked in their life, some who are regular trekkers, some runners, some fitness junkies, some foodies, some photographers, some bird watchers and some looking for an untouched piece of nature. 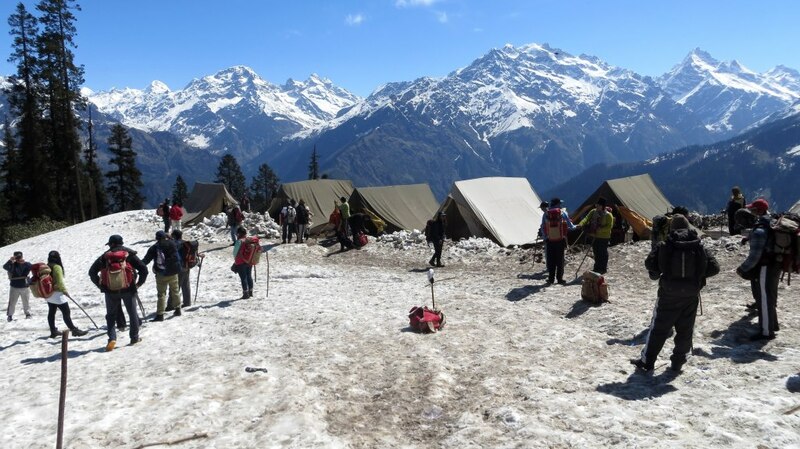 A group of 50 leaves the base camp every single day, with 2 groups cheering them and wishing them well at the base camp and enthusiastically thinking of the next day when they would be on the other side being cheered by the next 2 batches. Took the early morning flight to Delhi on May 1. On reaching, headed straight to Zoheb’s house which was near Jammia Millia University. Anshul came there too and we repacked our bags. There were stuff like Hunter Shoes which I had picked up for the boys from Bangalore. By 4, we headed to the railway station to catch the Delhi-Kalka Express to Chandigarh. Chandigarh was a culture shock for me in every way. We had to head straight to where our bus to Bhuntar was. We called the bus driver and handed the phone to the auto driver to understand where he had to drop us. They got into a fight within 2 minutes of conversation, the auto driver used all sorts of words and his first level of retaliation to us was – “Dekh leejiye aap. Aap ke saath ladies hain”. Without speaking a word, we took another auto(me still in shock) and reached Sector 43(or was it 52). At this point we met Mr. Ghajini. This man (who started the fight with the auto driver), gave us the tickets, took money from us and forgot about it. I mean, literally. Every 10-15 minutes, he would ask us for money, ask us to buy tickets and we would patiently explain that we have paid already. He did this for over 2 hours, the last attempt at a petrol bunk to where he followed us to ask the same question. Coming to the driver of the bus. He was smoking up. I was in the second row and I could see everything and I prayed for my life. He did 4-5 kinds of stuff and the best part after that was, he drove so well. My friends did not seem amused at all. I mean.. HE WAS SMOKING UP!!! We had some out of this world Aloo Parathas at Bhuntar before starting our 30kms/2hours journey to Kasol. The bus was filled with locals, some foreigners and some who looked like YHAI trekkers. 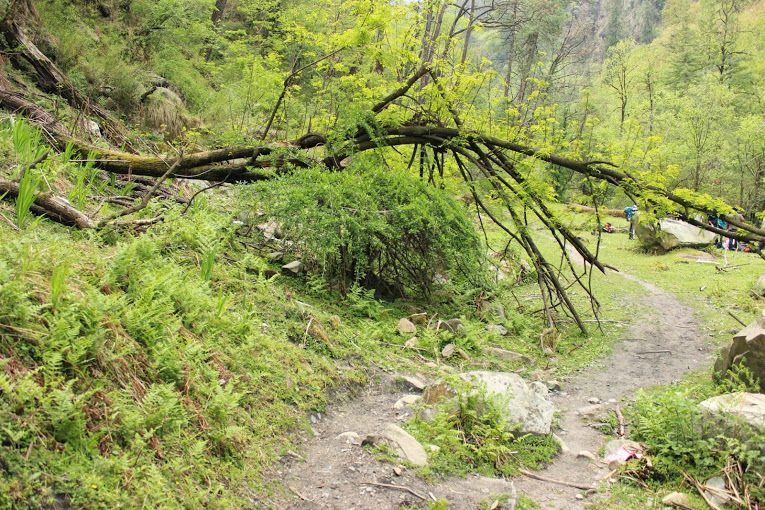 Around 12, we reached Kasol base camp. We were welcomed by, who we lovingly call (he doesn’t know about it) Bakar Uncle. We filled our forms, got our admission cards and were assigned to our respective tents. Over the course of 2 days, we knew SP2 would comprise of 9 girls and 38 guys. 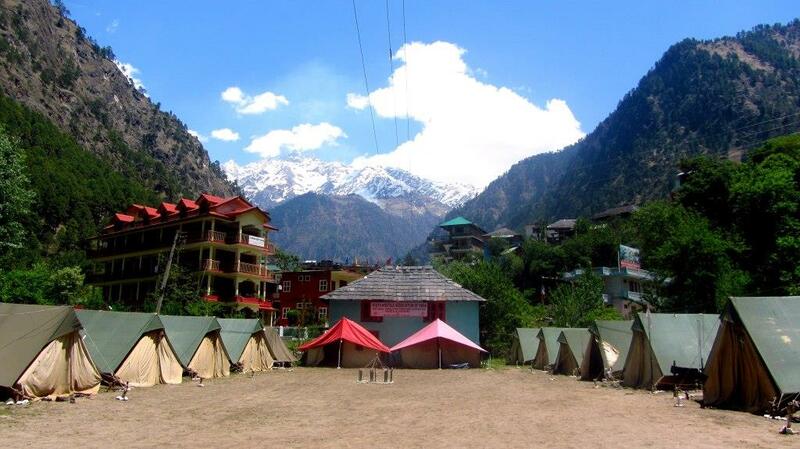 The base camp and Kasol is a pretty good place to socialise. 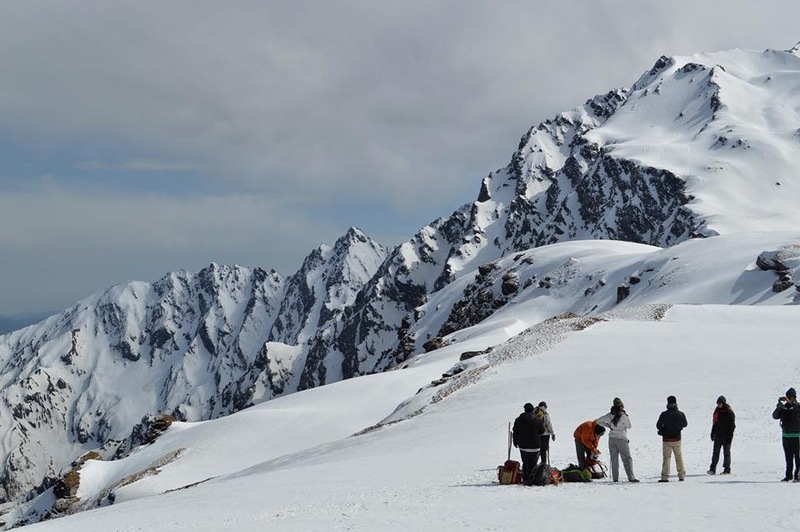 You stay with people from different batches, talk to ‘over prepared’ trekkers(like me) to know if you have missed out anything, speak to guides and YHAI management to see if there is anything to make the hike more interesting. The food YHAI serves at the base camp is very good. Your day would start with a good run to a nearby ground where you would exercise for a while, jog back to the camp for some good breakfast, get ready for that day’s activity (acclimatization hike/rappelling and rock climbing) come back for lunch, nap if you can, go to Kasol market for some last-minute shopping, sit through a round of instructions from the general, have your tea, soup and prepare for the gala evening where you would be asked to entertain. There is one other big task you have to do before you start the 7 day camping expedition. Decide the stuff you would carry on this trek and stuff you would leave behind. Ideally your bag should not weigh more than 3-4 kgs if it’s a small bag and not more than 6 kgs if it’s a backpack (the kinds where the bag itself weighs around 2kgs). I had to reduce over 4 kilos which I did efficiently. They have a weighing machine for you to cross check. 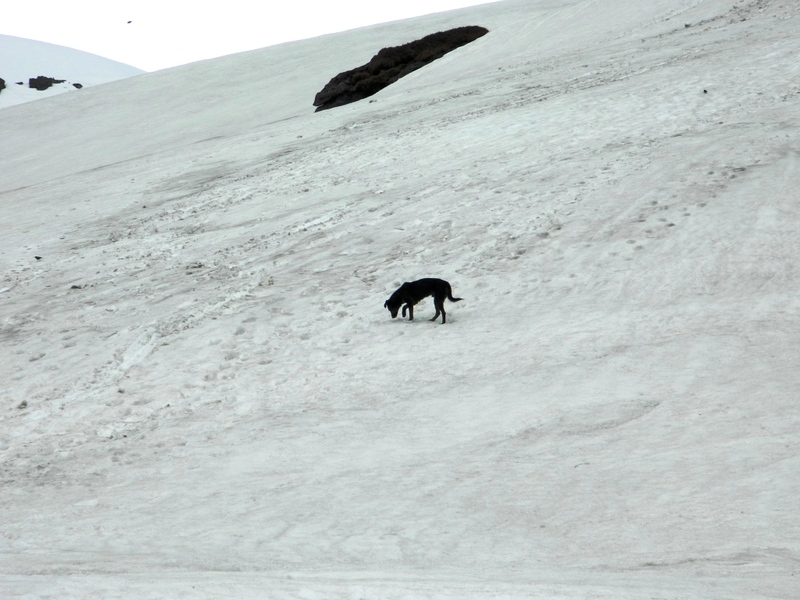 There were 2-3 dogs that came with us on this trek. 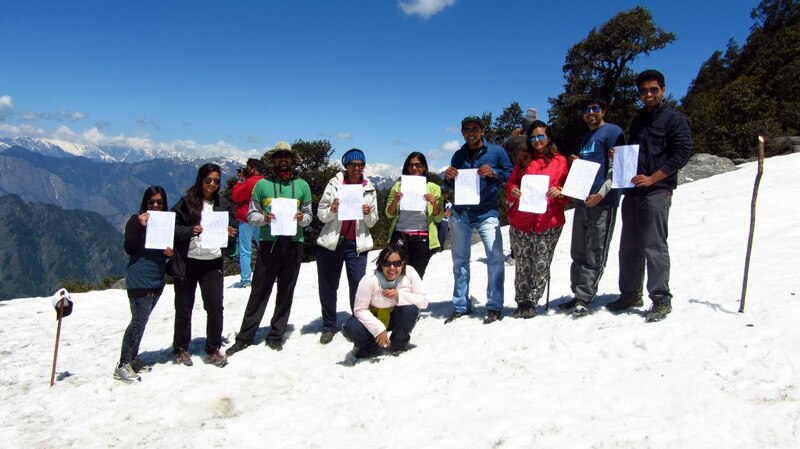 They completed the trek with us.. Respect. 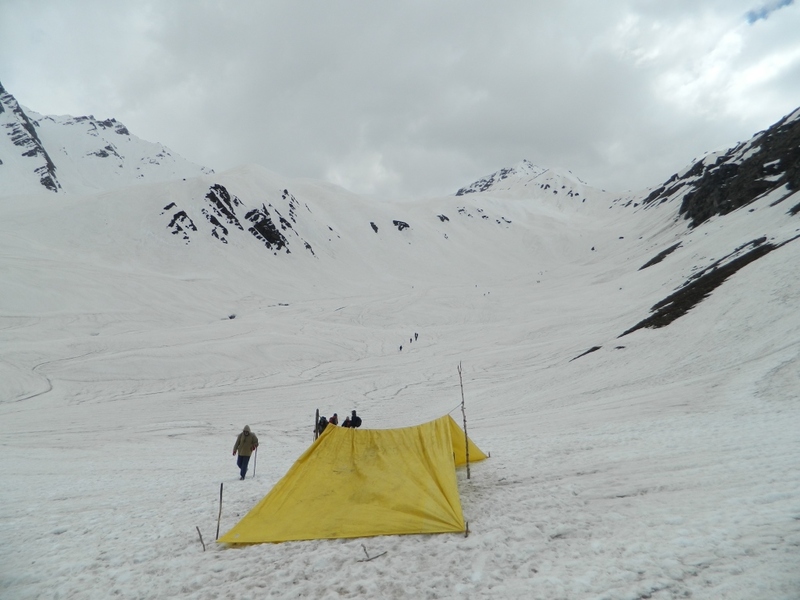 They handled the terrains, the cold with such ease (sometimes they sneaked into our tent as it got too cold outside). They even knew the route. So sometimes, if we went the wrong way, they would show the right one. Jojo (Also known as tuffy) was a favourite but there was also an unnamed underdog who was my favourite. More stories about him when I talk about Bhandak Thatch. I am detailing out the experience by each route/each day followed by the experience at the camp itself. But overall, I’d like to say that Sarpass is once in a lifetime experience. The routes present to you so much beauty and such good challenge that you would want to do more. 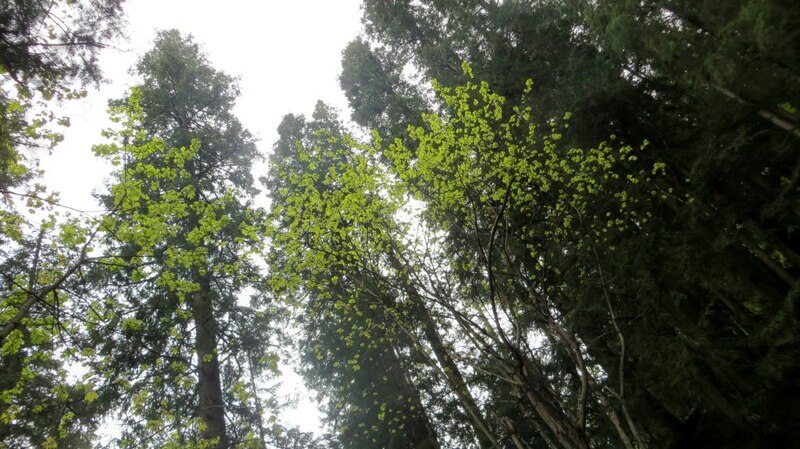 The camp sites are painstakingly selected by YHAI and each has its own charm. YHAI does a brilliant job of organizing this 10 dayer for you. The guides you meet are amazing human beings. 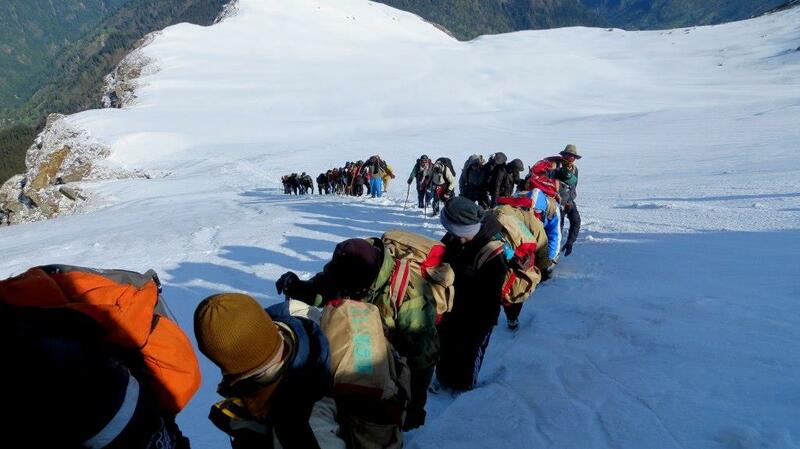 It is one of the tuffer treks organized by them so it pays to be prepared for some level of difficulty. When I was there, I felt too cold, sometimes felt it was too difficult, sometimes thought that there is a high chance I may slip and slide away on a frozen river to neverland but today, when I’m safe and back in my city, I wish to go back to the mountains and live there forever! 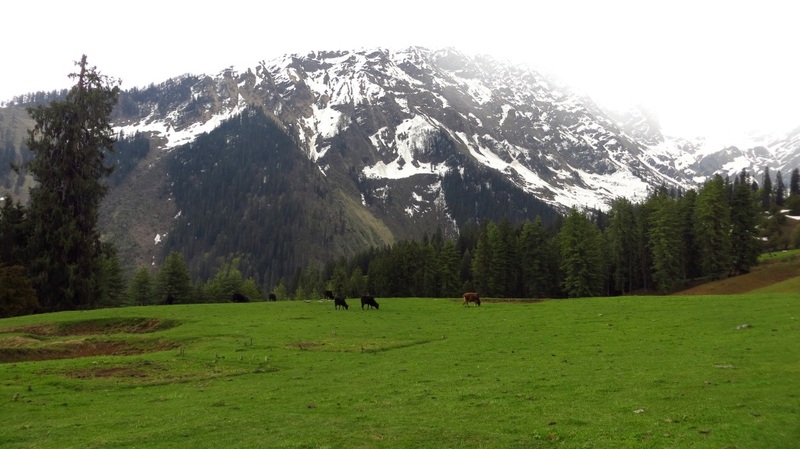 Terrain: The big day is your 4th day at Kasol. This is the day you start your first hike. 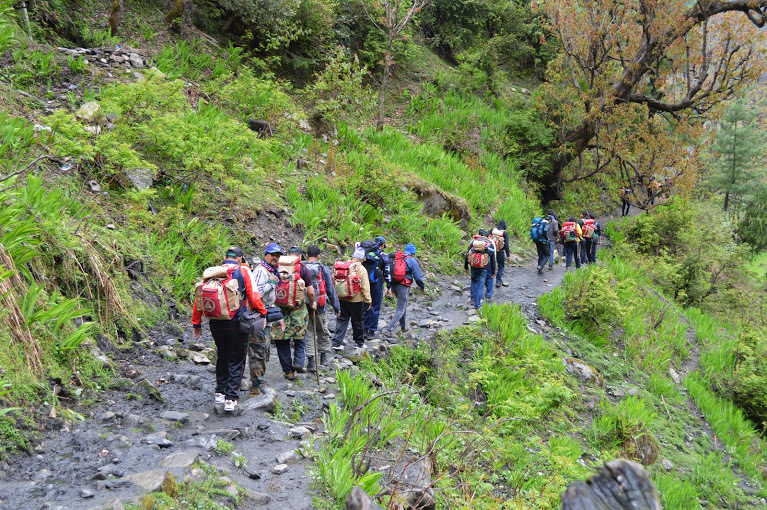 I had fallen ill the previous night (bad stomach – apparently some people cannot handle the minerals in Himalayan Water) and ran out of energy within the first couple of hours of the trek. 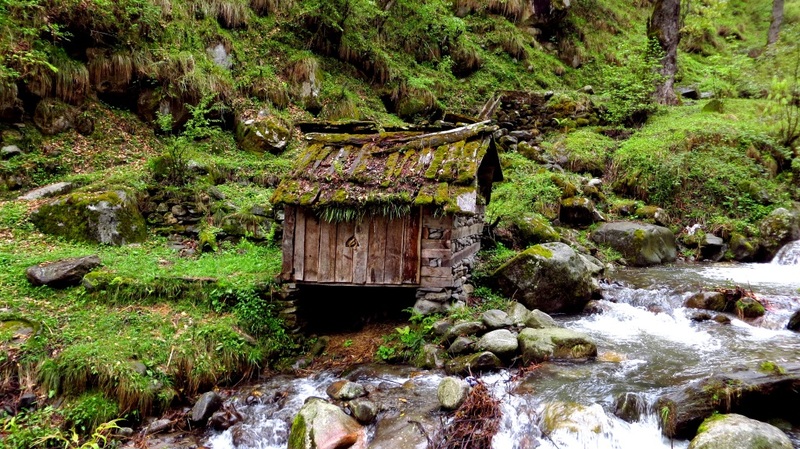 Though you cover good number of kms, this trek is relatively easy. 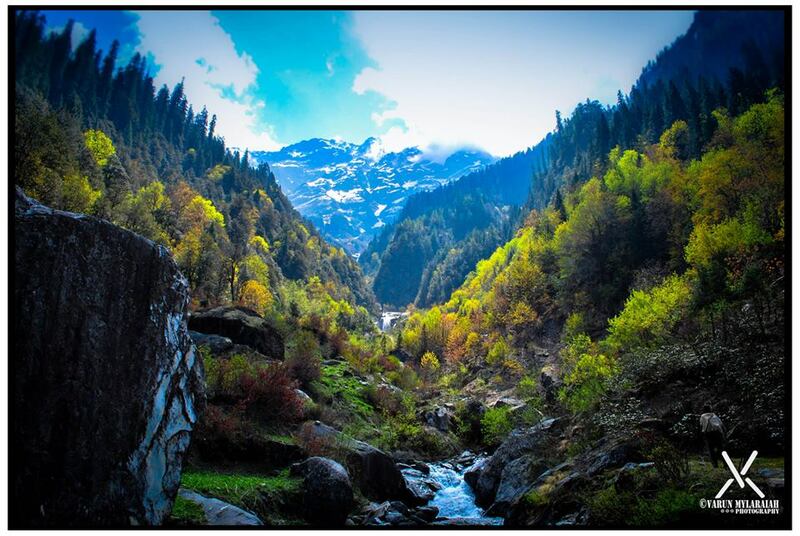 You walk through forests with Parvati River on your side almost for the entire journey. 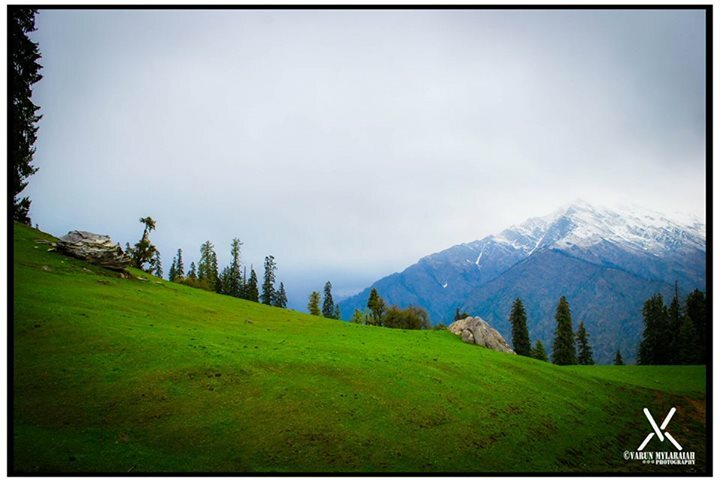 The entire stretch is green with scenic walkways, plateaus for good breaks, pahadis with their herd of sheep and cows, beautiful burass red flowers to make the whole stretch magical. Towards the end, you will meet Pahadi children who call you Candy Man as they know you have Mango Bites in your bag (given by YHAI). So, we spent time sharing our candies with them, taking some pictures and trying to ensure they did not litter the place with candy wrappers. Experience: Most people found this stretch relatively simple. I, was on a trip of my own with some bad health but Zoheb supported me throughout, waiting for me and ensuring I don’t take too many breaks. Sometimes, it becomes very important to have THAT one person who motivates you and stays with you. Towards the end, we had no guide and had to figure out the route ourselves but YHAI has red arrows on enough number of rocks which makes “getting lost” a little difficult. We reached the camp site at around 3PM and immediately put our feet in a stream near-by. You can’t stay there for long as the water is COLDDDDD. But, this small dip in Parvati was extremely refreshing. 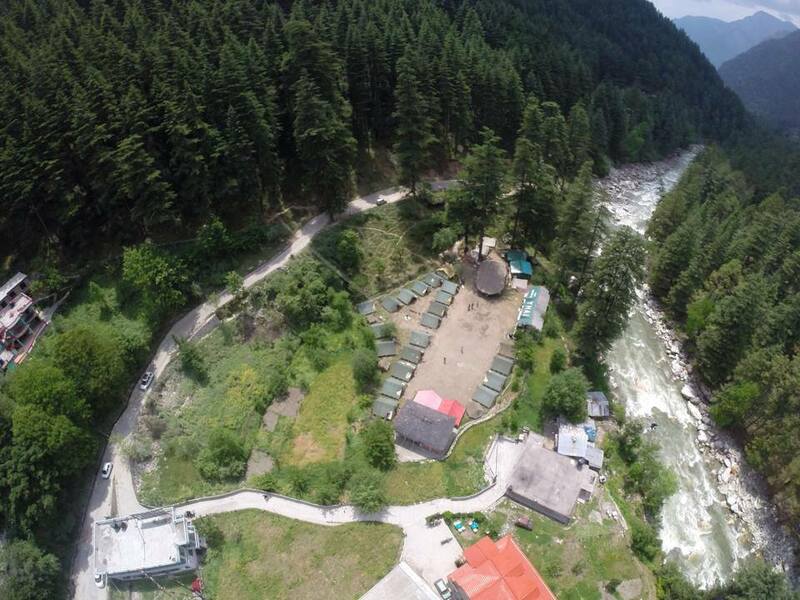 Grahan Camp: The only camp which is close to a village. After this, there are no human settlements. Loved the view from the tent. We had enough time to walk around the camp area and look around. This lady selling maggi had kept the place warm for us with fire. 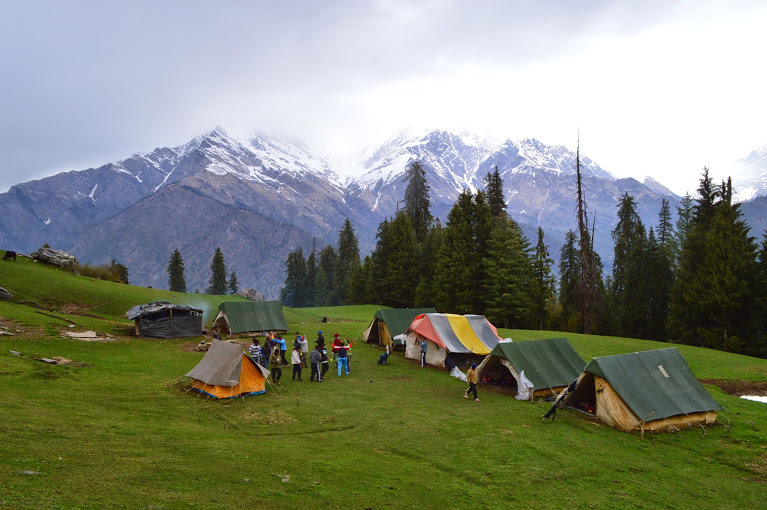 Next morning we had paddus – a local delicacy with burass chutney and I swear I think it fixed my tummy 🙂 A green camp with snowclad mountains in the background, Grahan was a great start to Sar Pass. Terrain: This is probably the easiest and fastest stretch in the entire trek. The path is not too steep and fun. It’s foggy in some places and the woods remind you of Game of Thrones. The banners are a sign that the camp site is not too far off. Experience: I loved this stretch. I think feeling better had a great deal to do with this feeling. Also, I started eating Maggi and Omlet at every place that was selling it. God bless those people. The thing is, YHAI food is good when it’s hot. Packed lunch I did not like at all as it was hard, cold and not tasty. Zoheb and I survived on Maggi and Omlet. 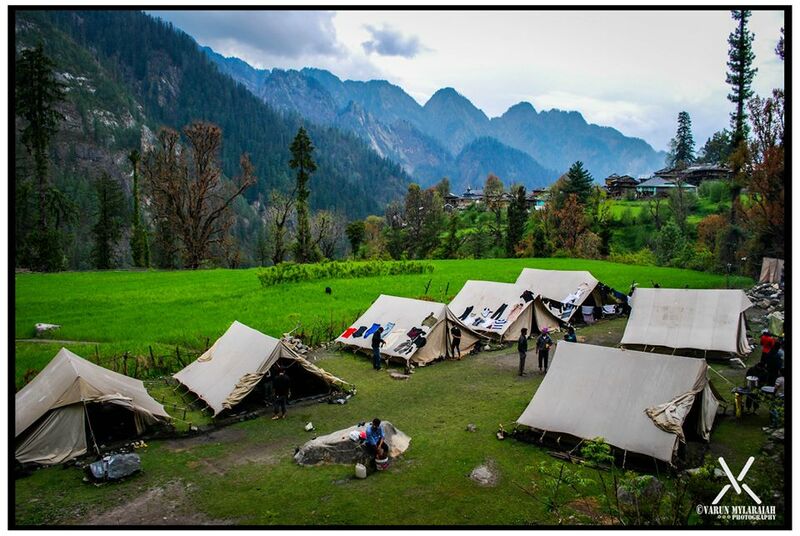 Padri Camp: This is the second best camp site of Sar Pass. Padri is the base of a valley with beautiful mountains all around. Walking around this camp is a beautiful experience as you gorgeous wherever you look. Ellora, Radhika, Mohit, Zoheb, Anshul and I sat on top of a small hill to get some sun and chatted away. The camp also acted as a ground for all of us to play lots of games. Mafia, Seven – Up and good old Antakshari made the evening extremely memorable. Camp fire kept us warm and we sang for hours. In terms of bonding as a group, this probably was the best camp site. Terrain: The toughest route in my opinion. Apparently the earlier plan was to camp at Ratapani but because of too much snow, they shifted it to Min Thatch. Min Thatch was another 1.5 hours of walk. We realised that till 2:00 PM the weather is good. And almost like there is an alarm in the sky, when the clock ticks 2, something starts to happen. Also, walking on ice is not very easy. Your steps have to be calculated and the stick you carry has to precede every step of yours. There were stretches of walkways that were just 1 foot wide, a snow wall on your right and miles of sliding snow on your left. I always wondered what would happen if I slip. 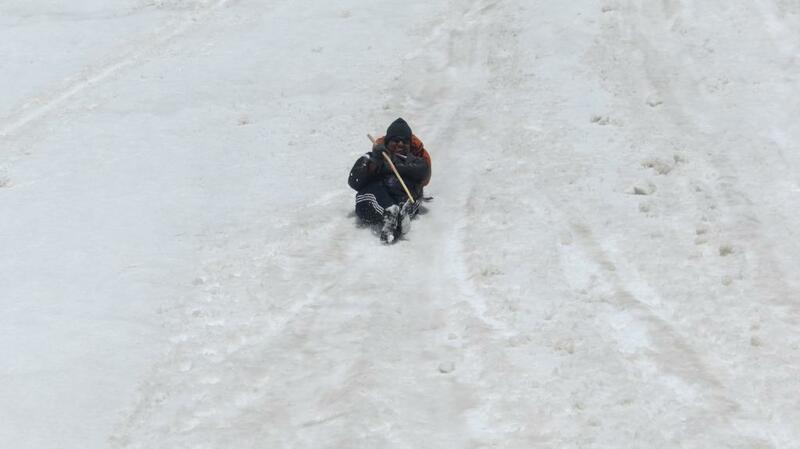 Thankfully, none of us fell and went sliding away. Min Thatch Camp: As there was lots of snow, this was a slushy camp. The walkway was dirty and slippery but the view from behind our tent was just gorgeous. After a hot cup of tea followed by soup, I was in the mood to enjoy the beauty of Min Thatch! Ellora and I got sick and threw up at this camp. 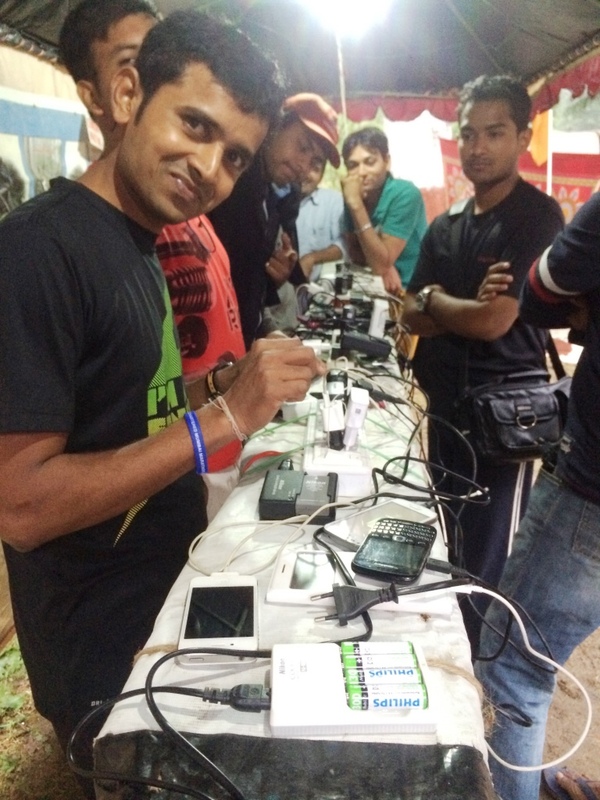 The guys (Anshul, Zoheb ad Mohit) took such good care of us here, we were touched. They got us tablets(from the medical kit that’s kept at every camp), gave us extra blankets(they gave up theirs) and checked on us every now and then to ensure we were OK. Experience: Within half hour of starting, they give you a break of over 45 minutes in fresh snow. This is your opportunity to play, slide, take pictures, fall and have fun 🙂 After this starts the not so long walk to Nagaru. The view gets whiter, air thinner but the feeling of reaching the highest camp site is exhilarating. 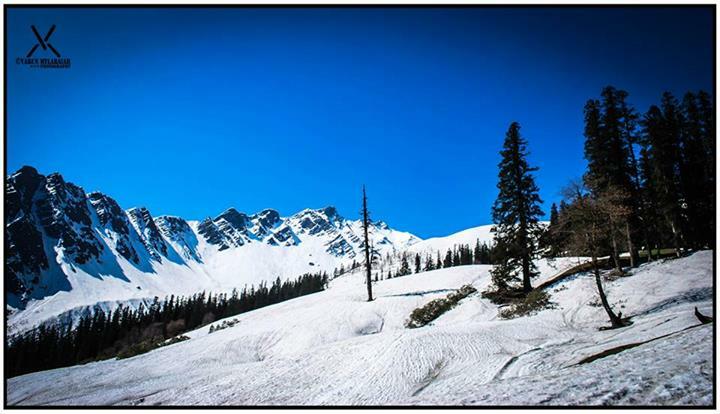 Nagaru is a 100% snowclad camp site. The best part over here is.. YOU GET NETWORK. Is it raining? Is it snowing? Its a.. Wait for it.. A Blizzard!!! Terrain: This is the main day. You accomplish what you have come for on this day. You cross Sar Pass this day. The proud moment happens today. The stretch is not very difficult. The guides ensure you are not going too fast. 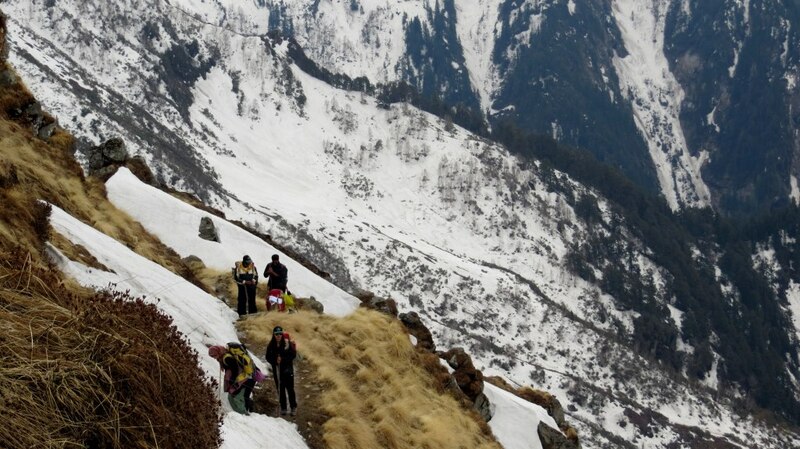 The slight steep will go unnoticed as you hike at a slow pace behind a co-trekker going in a single line. The last patch is almost a 90 degree climb but it’s not very difficult. One thing to remember here is to follow everything the guides tell you. Don’t try to break any rules as it can be fatal. Biskeri Camp: Beskeri is in a snow valley. 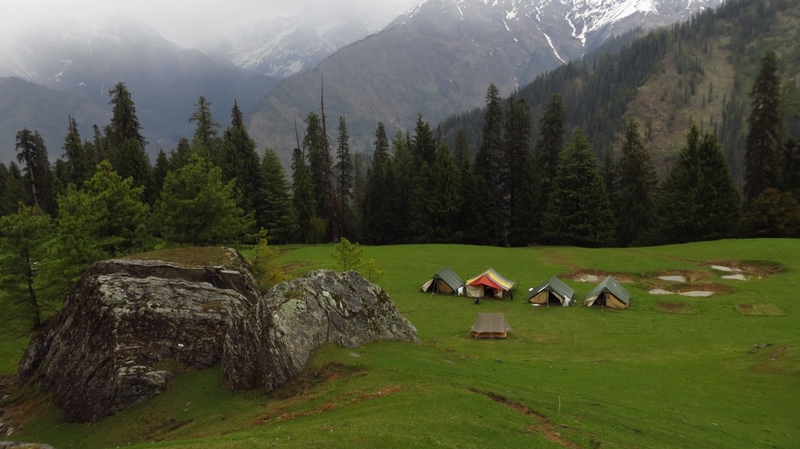 At this camp, fellow trekkers started making plans of skipping Bhandak and go straight to Kasol. Some of them were injured by the maniacal first slide, some fed up of sleeping in tents and some pure home sick. So, the girl’s tent spent some good quality time together talking for long about treks, boyfriends, future boyfriends, kids.. You get the drift! We also took a few really cool pictures in the tent. Experience: Zoheb decided to call it quits and head straight to Kasol and he tried a little to convince me to do the same. I was hell-bent on visiting Bhandak. I had read in some blogs that it is the best camp site. And what a dreamland it was. Even the route from Beskeri to Bhandak is a pleasure walk. Not difficult at all as you are descending but also because the white landscape slowly becomes fresh green and that transformation gives such joy. The joy of seeing cattle grazing, of people soaking in some sun, of trees, of leaves after 2 days of complete snow. The 22 of us(who decided to go to Bhandak) walked around looking at the beauty of nature, when a fellow trekker played a folksy gujarati song and before we knew, all of us were grooving(atleast moving) to the music. As it started getting cold, a few of us got into the tent to play some cards but in a bit it was snowing.. The soft snow kinds.. So, we got out and played in the snow, throwing snow at each other and the dog, screaming in excitement and just living the moment to its fullest. The night ended with 2 full hours of awesome dumb charades with torch lights on the person acting. Terrain: This descend takes you about 3 hours with breaks. The first sight of houses you see makes you realise you are back to civilization and a dam construction at Barshani rudely shakes you up from the dream you have lived for the last 7 days. 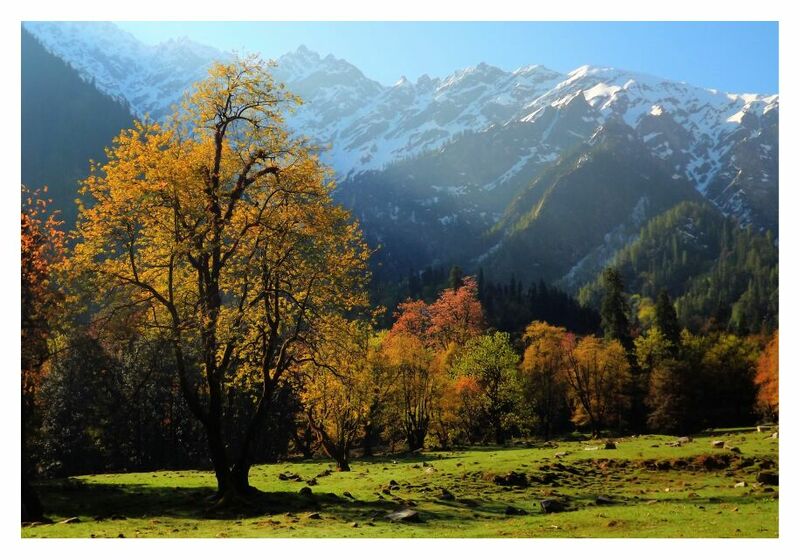 Posted in Travel, TreksTagged Adventure, Backpacking, Beautiful Places in India, Beskeri, Bhandak Thatch, Camping, dogs, Grahan, Hiking, Himachal Pradesh, Himalayas, Holiday, India, Kasol, Manikaran, Min Thatch, Nagaru, National Himalayan Expedition, Padri, Parvati River, Parvati Valley, Ratapani, Sar Pass, Sarpass, Sarpass 2014, Travel, Trekking, yhaiBookmark the permalink. I just can’t stop my self to read it twice…Awesome note!!! I was in SP %, unluckyly we have to come back from Nagaru, due to bad weather. Even though we enjoy and decided to come next year. Hi Samir. That is truly unfortunate 😦 You MUST go next year and complete it. Sorry it is SP 5. Great pics. I am from sp5 grps. Missed guys like u. I and Prashad was in same SP 5. Really I also feel like Prashad. I also really miss you. 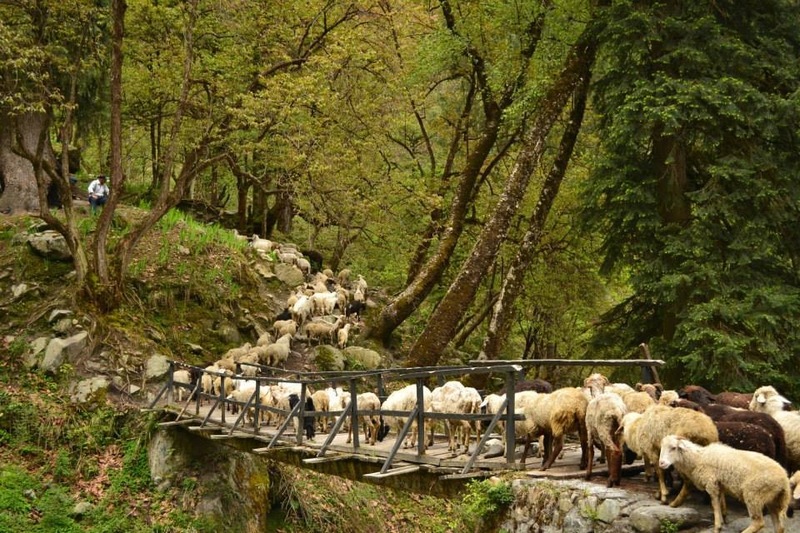 I have been to Himachal and heard a lot about Sarpass. However, have never got a chance to visit the place. Vachana, You have created a beautiful blog, I like this particular post the most because it has one of my favourite destination. Thanks Varun 🙂 Make your plans in Jan of 2015.. That’s when YHAI site is open for bookings! Vachanaaaa…..I enjoyed reading every word of this! This is awesome! and I am proud of you…How I wish I could do this! A great trekologue for all the Nomads like me. 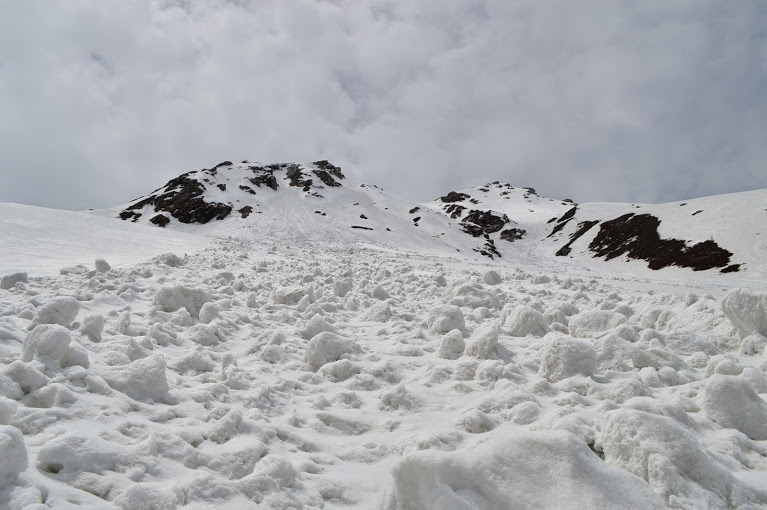 good job… planning for sar pass this year…. ur blog will help… thanks. Beautiful blog and pics too! Can you tell me how n when to book for sar pass 2015 I dnt wana miss out on dates…. Registrations open in Dec/Jan on the YHAI website – yhaindia.org Keep an eye out to get the dates you want. Thanks for the response….. we booked for 22nd may….!!! Looking forward for SAR-PASS…!!! I also booked for 22nd May. From where r u coming??? Hi, we will be coming from Mysore…!!! Thanks for this inspiring article.. I registered for May 2015. I like to know if any before hand training is required from your experience. Not really. 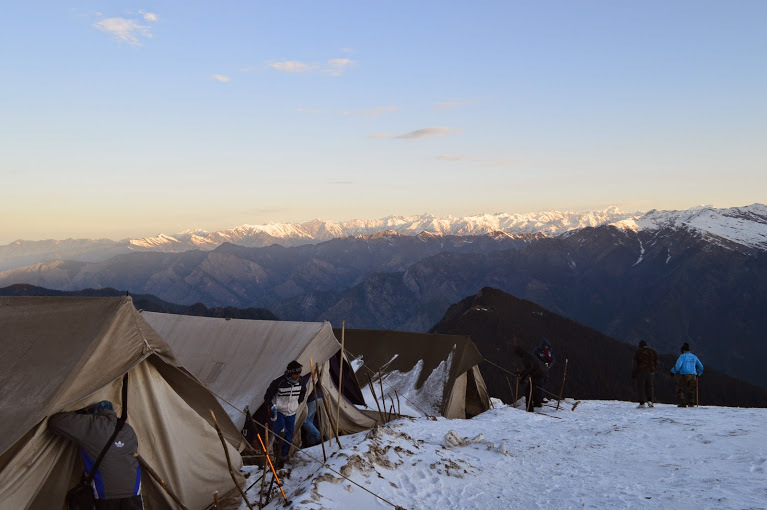 YHAI conducts 3 days of acclimatization at the base camp. 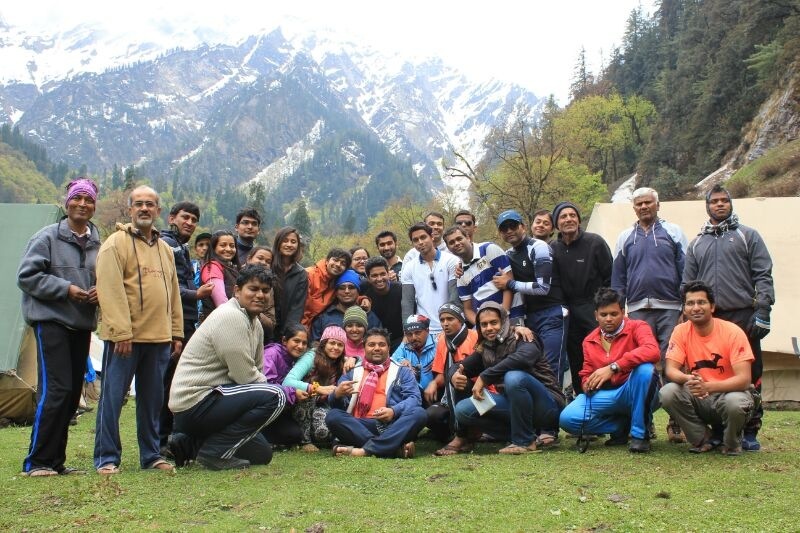 There were people trekking for the first time in their lives in our batch. But, some workout for a couple of months atleast would give you an added advantage! I registered for 16th May 2015 batch. truly amazing snaps and the detailing. nice travelogue. next year will definitely go for it. It was great to read your blog. 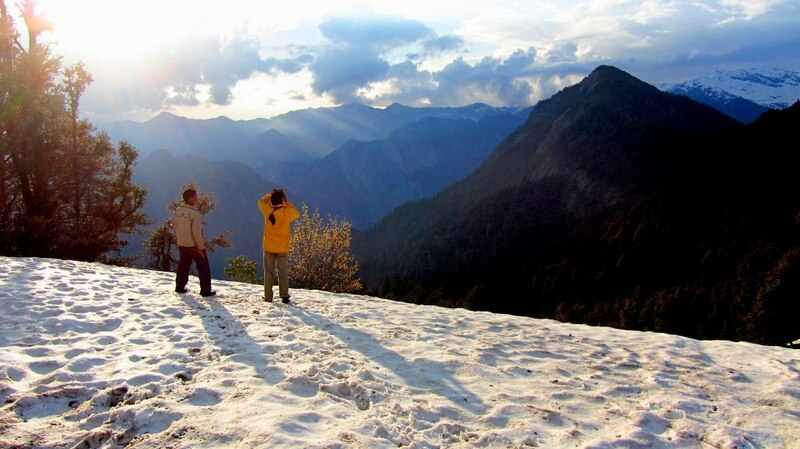 I harbor this idea of trekking himalaya and bathing in the serene beauty of nature. I have done few treks in karnataka. 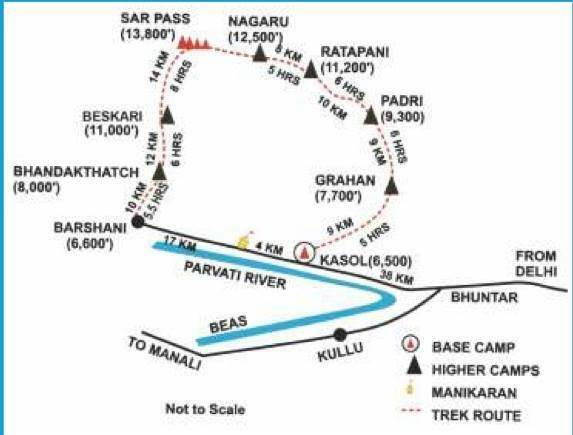 Do you me at the age of 47 can do this trek ?? literally felt like being there. I would like to take this himalayan trekking one in my life with my wife.deliberately waiting for palnning the treck after reading this may be this summer or next. This was really informative, really helpful. To-day I gone through your experience in Himalaya, it is really wonderful and photographs are marvellous. Pl.let me which Camera You have used its details,during your trekking period.